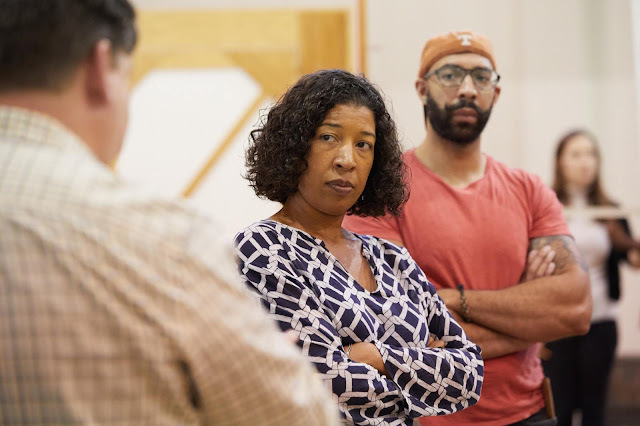 Mary Elizabeth Williams will sing the role of Serena in Seattle Opera's upcoming production of Porgy and Bess. 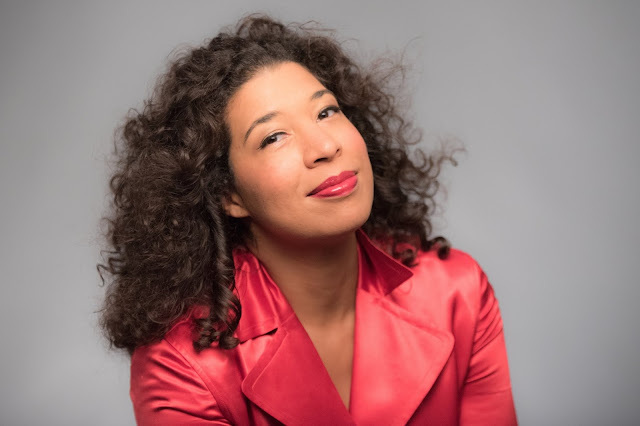 This Porgy and Bess marks a “first” for soprano Mary Elizabeth Williams. Certainly not her first time at Seattle Opera. She has been performing here since 2000 when she was a member of the young artists program. in the 2011 production of Porgy and Bess. And not her first time performing with several of the singers in this cast. She describes Porgy and Bess as something of a reunion for many Black American opera singers. It is, however, the first time she will be returning to a company to reinterpret a role she has performed there before. But we shouldn’t expect a repeat performance from Mary Elizabeth Williams. She doesn’t work that way. For her, a role, a production, an interpretation comes from the individuals in the room. And with a perceptive performer such as Williams, that dynamic—that chemistry— really does change for every production and every night. She then immerses herself in that world, and schedules a voice lesson via Skype with her beloved voice coach with whom she has been working for 20 years. “I need a voice lesson at least as often as I have a haircut,” she says. She once gave Serena a backstory in which she had been an educated woman, a teacher who had aspirations but who had been disappointed for years. Life had not gone her way. She once performed with a Robbins (Serena’s husband) who could soothe her fiery rhetoric by flirting with her. This shift in the marital dynamic changed how she portrayed Serena, and it also fed into the character’s animosity toward Bess. Williams during a rehearsal of Porgy and Bess. For Williams, a lot of the dynamic between characters is physical. “I’m aware. I’m a tall person. I take up a lot of space. From early on I have been aware of my body and the effect it has on other people. That awareness of a physical connection—positive or negative—helps me onstage to tell stories, whether I’m singing or not singing.” In Porgy and Bess, she usually uses her height as part of her domineering attitude toward Bess, but she and Angel Blue, who are friends offstage, are about the same height, so that’s something they’ll figure out in rehearsal. Learning other languages was part of what drew her to opera in the first place. She had one year singing in a touring Showboat, but she found she missed learning other languages and she missed some of the rigor of the classical repertoire. She had realized her passion, and Seattle Opera and another emerging artist program at the Opéra National de Paris were next steps on her path to a professional opera career. Of course the road to success usually isn’t easy. Williams had grown up in Philadelphia singing in a church choir with her parents—her late father’s nickname was “Bass”—and through that experience she met a lot of professional singers who were working hard to make ends meet. She went into a life in the arts with her eyes open. “I knew it wasn’t for the faint of heart,” she says. For many years she had to follow the work. “I was tumbleweed. Wherever the job went, I went. I had no roots. I had inflatable furniture, so I could deflate and move on." How’s that for metaphor? But it seems that hard work was worth it because she has firmly established a highly successful international career, particularly as a Verdi soprano. Of course Seattle Opera is always happy to see Mary Elizabeth Williams. She has performed here as Leonora in Il trovatore, Queen Elizabeth in Mary Stuart, the title role of Tosca, and Abigaille in Nabucco, and she was one of the select singers invited to perform at the 2014 retirement celebration honoring Seattle Opera's second General Director Speight Jenkins. Williams has performed in many productions at Seattle Opera in the past. From left to right: Leonora in Il trovatore, Queen Elizabeth in Mary Stuart, Tosca in Tosca, and Abigaille in Nabucco. And that philosophy she has about waiting to see the chemistry of a cast? Of being ready but waiting to see what story she and another cast member might tell? That philosophy seems to have worked in her personal life as well. Why? The Italian tenor Lorenzo Decaro,who had signed on as Radamès, would become her future husband. The couple tries to perform together when they can, and they live in Milan, Italy. Her days of inflatable furniture are in the past. “Now in Milan, I have a home,” says Williams. Of course she always has a home here at Seattle Opera, too. 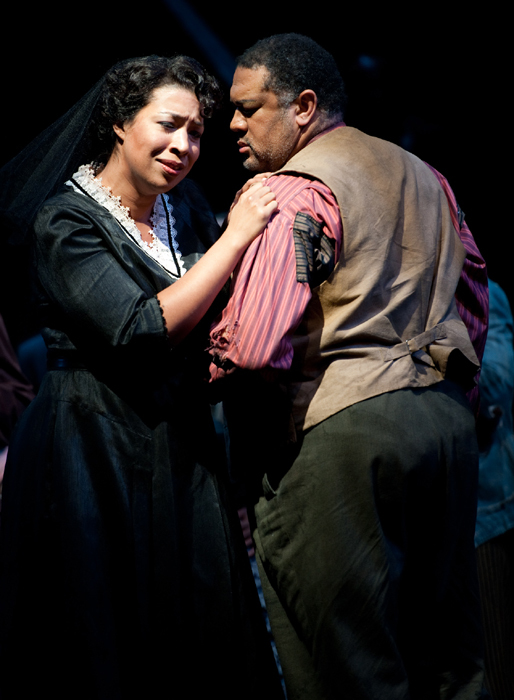 Seattle Opera's Porgy and Bess plays at McCaw Hall Aug. 11-25 at McCaw Hall.